The coffers continue to swell with great coffee. Samples of favored Central Americans have been fairly middling-to-disappointing but we landed a prize, a microlot from Honduras, Santa Elena Catracha and farmer Adan Hernandez Amaya (several members of the family having eponymous farms under the Catracha banner). It's an excellent, high-scoring (90) Central with an even more excellent story which I will post on Moinday when added to the website! Also getting in a very nice single origin decaf Mountain Water Process from Colombia...sweet and good fruit notes. Stay tuned! Oregon residents will get to grab some of the new Ethiopia Keffa Sidama Guji starting Friday, June 26 at all 9 Market of Choice locations...check out the Savories ad...runs for two weeks. 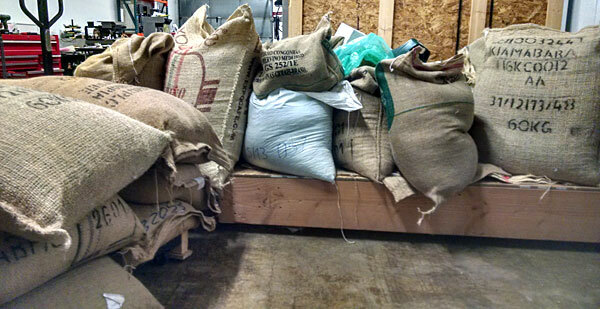 Keffa Coffee's three new crop offerings arrived yesterday, June 22, and are all amazing as advertised! We also have new crop natural process Brazil OurCoffees "Sugar" edition, from producer Fazenda Santana. Yummy, nutty and chocolatey. Fans of our Ethiopian focus will, like us, have to wait just another long week or so for the arrival of three GREAT coffees from our partner Samuel Demisse of Keffa Coffee...natural process Ardi, washed Limu Grade 1 and Sidama Grade 1. Also coming new crop Brazil OurCoffees Sugar, which is currently on the water approaching the West Coast terminals. Good times here in anticipation. June 1 is a good day as we receive a new luscious Kenya AB from the Gatugi Factory (wet mill), more Yirgacheffe Aricha natural process, Burundi Dukorere Ikawa and organic Java Taman Dadar. New crop Ethiopians are are tad delayed until the middle/end of June but will feature some extraordinary coffees from our partner Samuel Demisse of Keffa Coffee. Continuing our presentation of some of the finest Colombian coffees...check out new EXTREMELY LIMITED Granja La Esperanza Yellow Bourbon natural process and Red Boubon honey process...simply amazing! 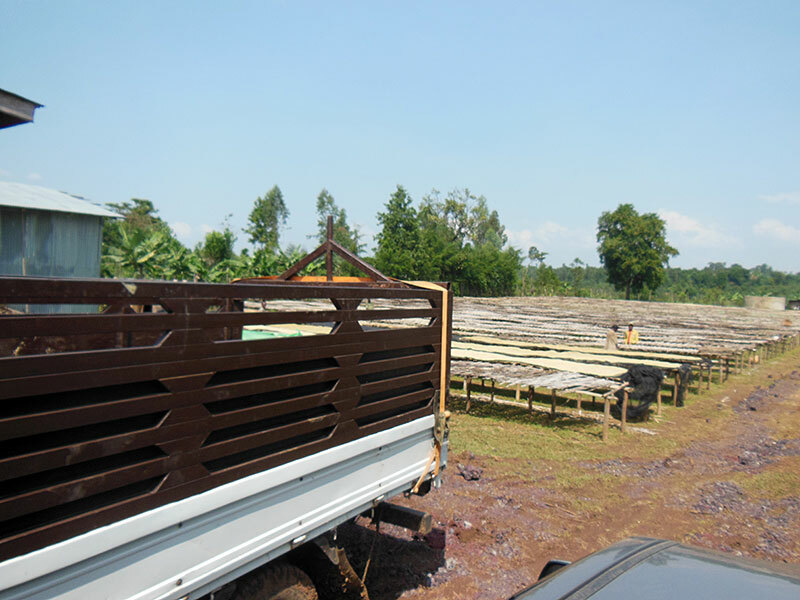 Colombia Agustino Forest, one of our fave washed coffees, also is back in stock. New washed Ethiopia Yirgacheffe from Konga Zone is a fabulous addition too. Aricha is back! Fruit bomb number two of the season, even juicier than the offering from 2 years ago. Our Gelana Abaya natural is all gone but we're thrilled to have yet another exceptional Yirgacheffe taking its place in the rotation. Sumatra Takengon Mandheling from the family-owned and -operated Jagong Mill, nice sweet notes of butterscotch, chocolate and leather unique to the region. More freshies, Colombia Pacamara and Brazil "Sugar"
Champing at the bit awaiting the new Colombia Cafe Granja La Esperanza Pacamara Honey process...a superb exotic. From my new fave rock-star producer in all of South America...devilishly rich coffee. Also new/Late Harvest Brazil OurCoffees "Sugar", an extraordinary cup for the $$$, reflective of just how intense a single-origin espresso can become with the right beans. C'mon down to the Badbeard's online emporium. Kinda bursting at the seams with tasty offerings, now including monster Kenya Kiamabara AA, fresh, excellent and value-packed Colombia Narino Supremo and Sumatra Lintong Triple Picked for lovers of fine Far East coffees.